Today it is nearly impossible to remember any action which is not offered in the Internet space. That's why the large spread of online advertisement is not strange. If earlier you could notice dozens of ad banners from house to the work in your way, now you see the same (or maybe more) ad banners in every minute that you spend on the Internet "walking" from site to site. Banners are really so popular. It is basically calculated on the visual perception. Also, people are getting used to seeing them in the streets, magazines, newspapers and etc. The online ad banners are just digital vary of them. The main and best advantage of banners is the opportunity to give the information as many people as possible. Nowadays, every detail is important when it comes to the advertisement. You have to be attentive in the issues of ad's design, size, position and websites' features. Let's discuss them one by one. Remember, in the case of banner ads don't save on the designers. Your success completely depends on them! The visual form of a banner has to attract attention. Especially, if this is about a new unfamiliar product. However, the advertisement should not be intrusive or boring. As this is said, more than enough is too much. Size and position of the future banner are the most controversial points. However, they determine the main success of ad campaign. There are some time-tested and fixed standards in this matter. According to statistics, ads located in the content gained about 44.66% response. Also, the banners which are displayed in the headings have about 27.32 % of the response. Less attractive ads for visitors are placed below the fold (1.93% response). Take an advice, to place banners around the content. Below is the table of common sizes and positions which you can use depends on your preferences and website's features. As for website features, it is necessary to notice that it is not always important just to see your advertisement. Not least significant that this ad has to be seen by the people who may be your potential clients. Yes, it's about targeting the audience. All these problems can be quietly solved if you find the right WordPress plugin for support. So, be careful in the choice of websites and plugins! Well, it's time to understand how to place banners on your website. Here comes in handy great WordPress plugin Aparg SmartAd. 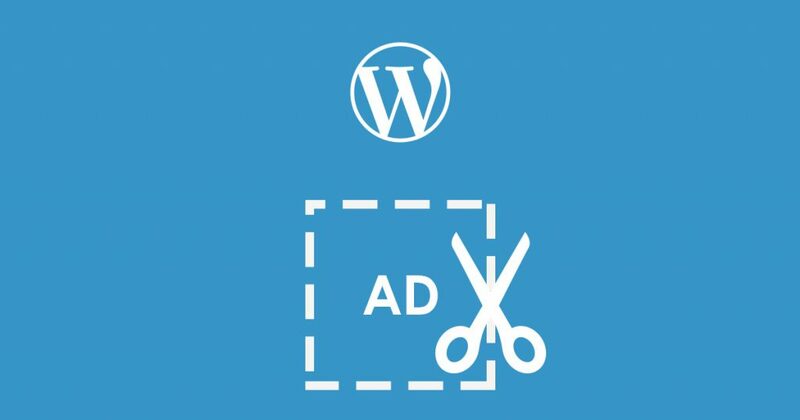 This plugin is specially created to put ads in WordPress websites. So, after the easy and fast setup of this plugin and have a choice between embed, popup and background ad types. For the case of banners embed is the most acceptable. Select it! The plugin will offer you to insert your banner. It can be any image, video, flash, code or iframe. You also may choose your favorite position of an ad campaign in the content. It is important to mention that Aparg SmartAd is maintained the all said types (rectangles, skyscrapers, banners and buttons). Everything for your convenience! And yes, don't forget to save the campaign. Aparg SmartAd has a good smart controlling system. You can adjust each ad and campaign to get your target audience by finding the more interesting positions to place them. For ad banners, it is an irreplaceable tool. You may follow all statistics of ad and campaign, also convert stats to PDF and sent to your clients as a proof about the advertisement's achievements. In addition, your ads will open on mobile devices, cause Aparg SmartAd makes them mobile friendly. It is not possible to list the each privilege of this cool WordPress plugin. You have to try and make sure!